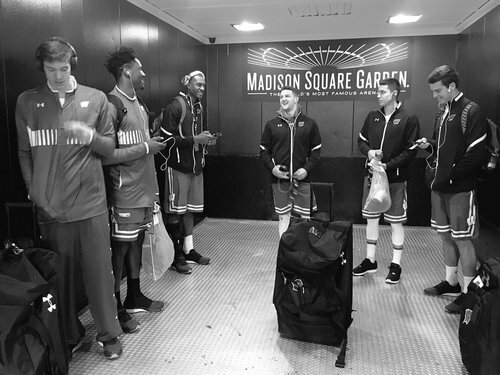 Badgers have arrived at MSG. We are live from MSG. Tip off in about 90 minutes. Badgers come into the game winning 13 of 14. 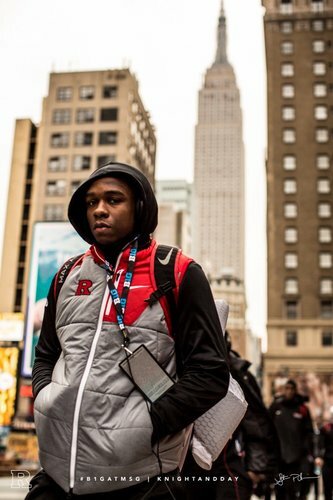 Rutgers has lost 8 of 9. Rutgers Coach Steve Pikiell is legit. Took Stony Brook to NCAA tournament last year. Had Seawolves in postseason (NCAA, CBI, NIT) of 7 yrs. 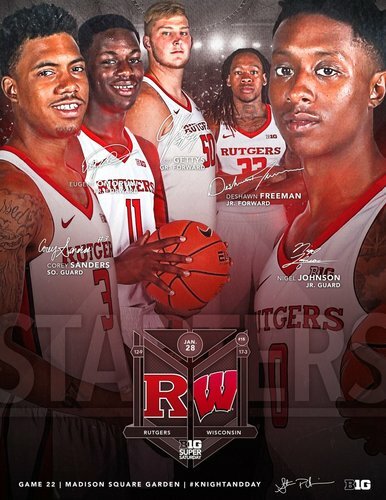 Rutgers can't score, but can defend: top 4 scoring D, top 3 fg% D in B1G. 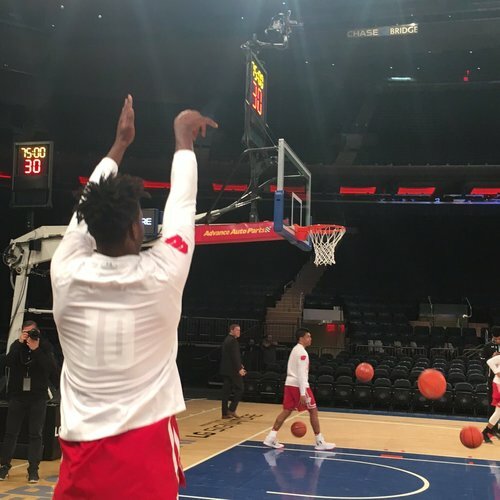 Getting loose at @TheGarden . 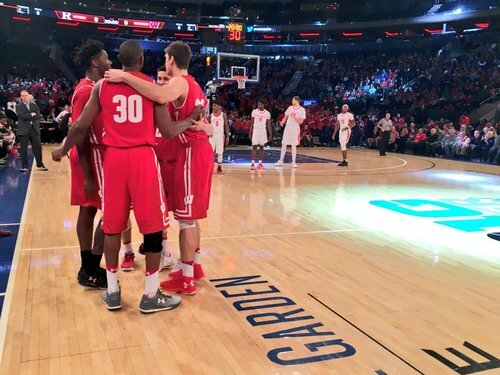 We're 30min from tip vs. Rutgers at Madison Square Garden. Officials for #Badgers -Rutgers: Gene Steratore, Lamont Simpson and Rob Riley. Keep an eye on the boards today - both UW & RU are strong rebounding teams. 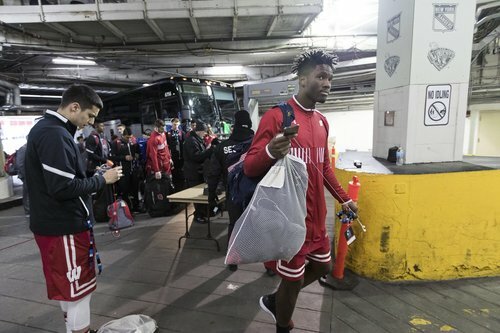 Pregame fun with @BronsonK_24 and @NIGEL_HAYES . Good #badgers turnout at MSG. 12 mins before tip, looks like 75/25 split UW/RU fans. 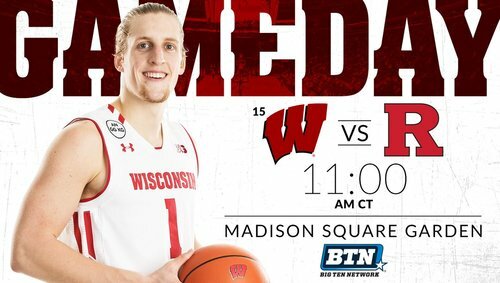 Sounds as if officials expecting a crowd of 8,000 for #Badgers hoops and 4,000 for hockey today/tonight. "Play as hard as you can. FWIW: announced attendance for Michigan-Penn State at MSG last season was 12,108. Oh...and hockey attendance for Michigan-Penn State was announced at 13,479. The stars play in New York City. Lower tier nearly full. 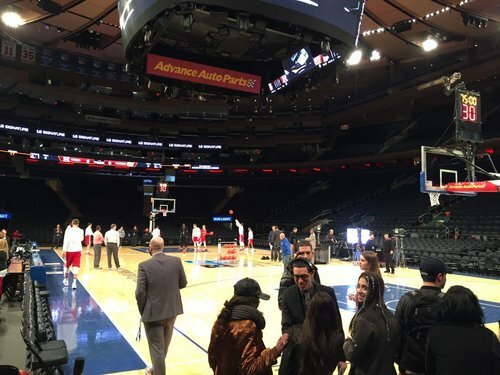 MSG closed off top tier for the game. Good vibe in the arena. RU is nominal home team, but it's a Badgers crowd. BTN video folks will have to keep the crowd shots tight today. 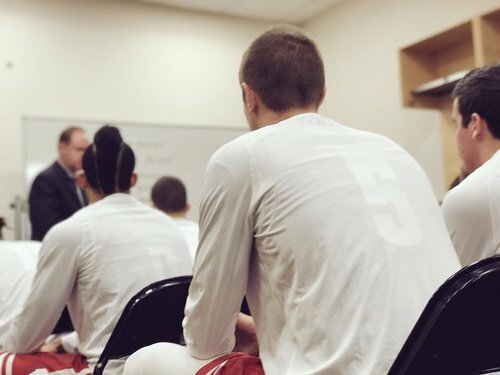 Showalter, Hayes, Happ, Koenig, Brown to start for UW. Johnson, Sanders, Omoruyi, Freeman, and Gettys for RU. 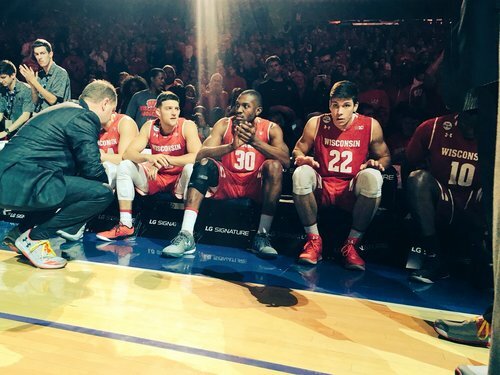 Badgers' end-of-bench "t-shirt as hat" game is strong. Ethan Happ sinks a pair of free throws and the #Badgers are on the board. Ethan Happ taking over early! Personal 4-0 run for the big man, then he steals a pass and nearly completes an and-1 on the fastbreak. Happ with 6 points, 4 of 4 from FT line. #Badgers lead 6-2.